Interviews with Fathers in the Field founders John Smithbaker and Scott MacNaughton. Community Bridge host Jenny Burkhiser’s interview with John Smithbaker on the ministry of Fathers in the Field. 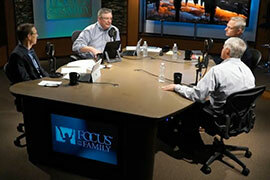 Focus on the Family’s interview with John Smithbaker and Scott MacNaughton on the value of mentoring fatherless boys. Dr. James Dobson’s two-part interview with John Smithbaker on rescuing fatherless boys. 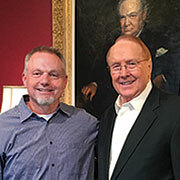 Dr. Tim Clinton speaks with John Smithbaker about the epidemic of fatherlessness and the importance of godly mentors.